Here’s the deal. Nobody likes to hear the word emergency. Not even us at Superior Scaffold. But the truth of the matter is that life does happen and we can help. Sometimes things just wear out or a truck backs into something or water leaks in. But when it happens to your building, property or project we are there. We are one of the few scaffolding companies that have an emergency services line set up just for this type of event. (215) 743-2200. And in most times we can be onsite within hours assessing the situation and implimenting a plan to getting you and your project, building or site up and running safely. 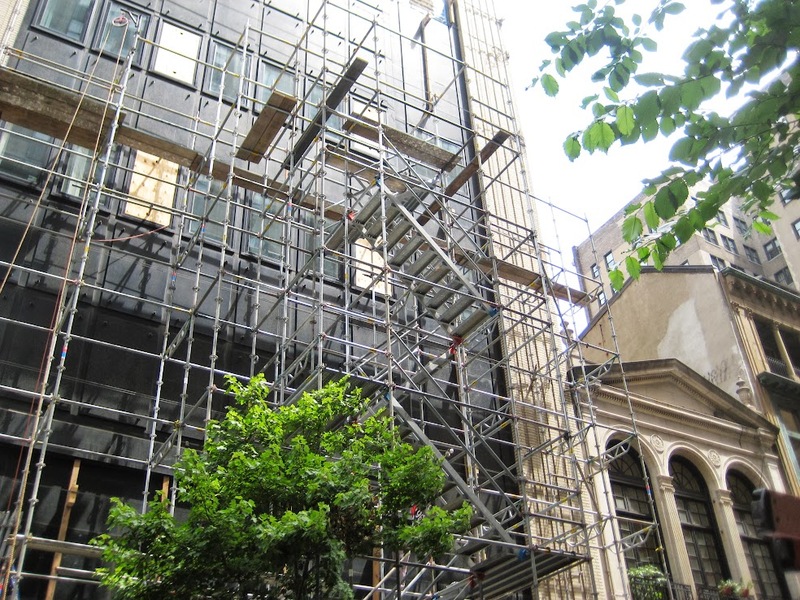 Our website is populated with examples of where Superior Scaffold jumped in at a moments notice to provide scaffold support in emergencies. 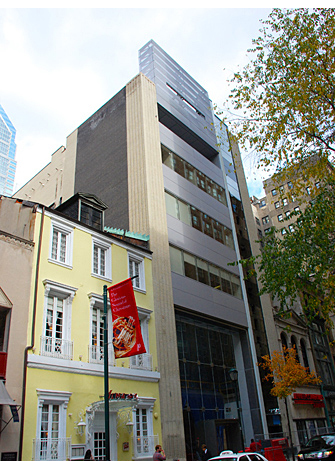 I just grabbed this one at 16th & Walnut where a piece of the building’s facade actually came loose and fell off. Luckily, no one was around when it happened. But Superior was called in and was able to quickly provide a solution in a canopy and overhead protection for pedestrians. 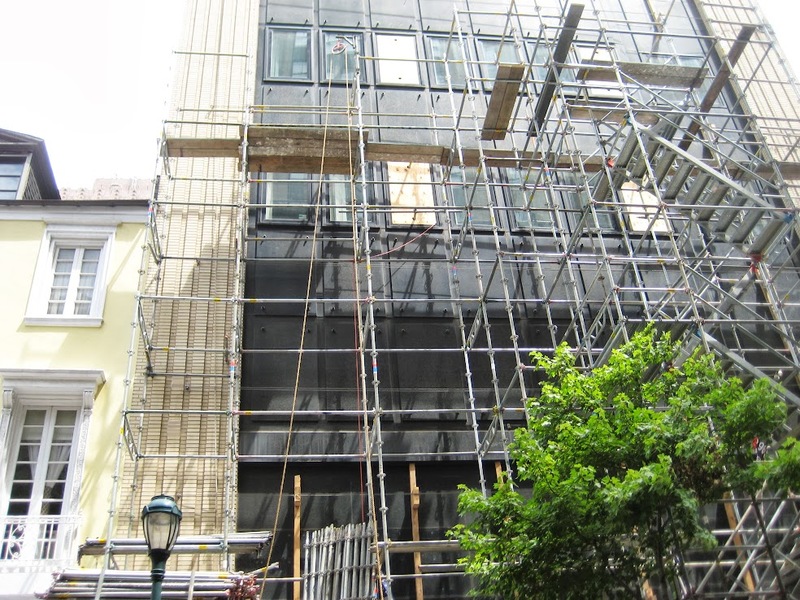 A facade rebuild was required when inspectors found the entire exterior was damaged. 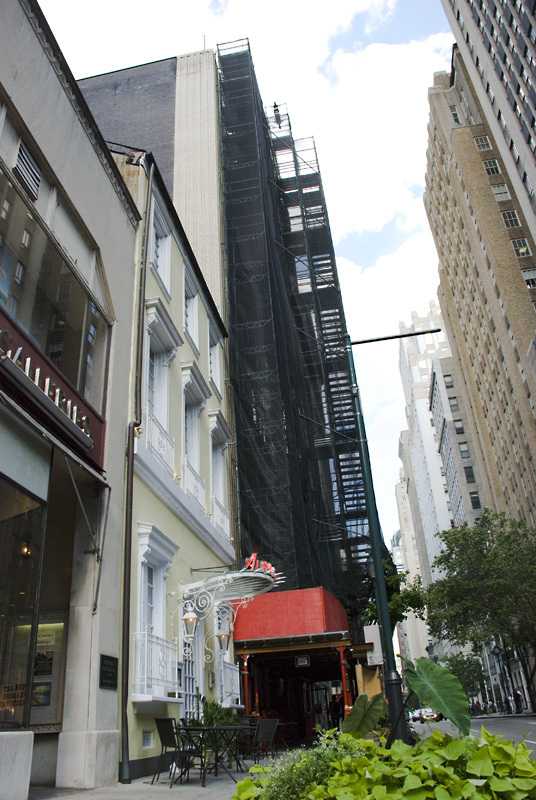 A much larger system scaffold was erected to address that facade and remodel. 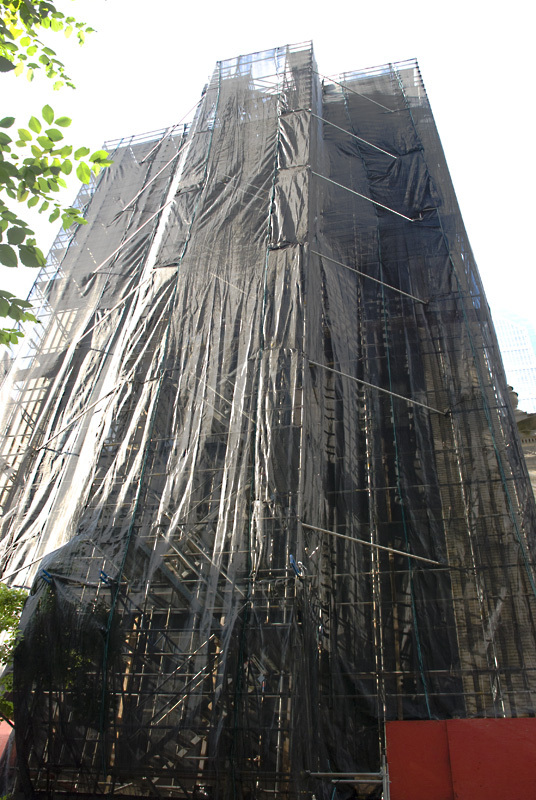 Containment wrap was also used to help keep debris locked in and out of the way. I just love seeing the during and after shots of the project! You kind of get an idea of what the guys on the crew have to go through the erect one of these. 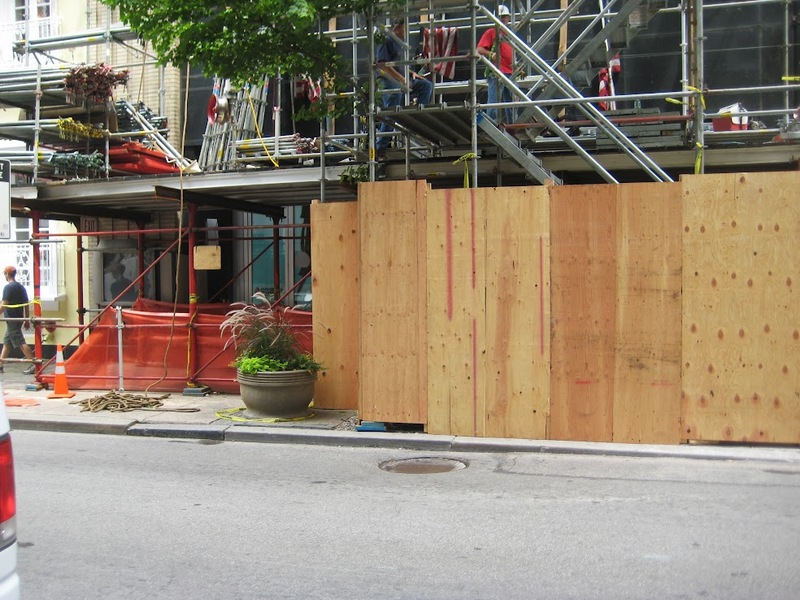 If you should find yourself in need of emergency scaffold services call our hotline at (215)743-2200 and follow the prompts. If it’s after hours don’t despair, just follow the prompts and one of our estimators will call you back. 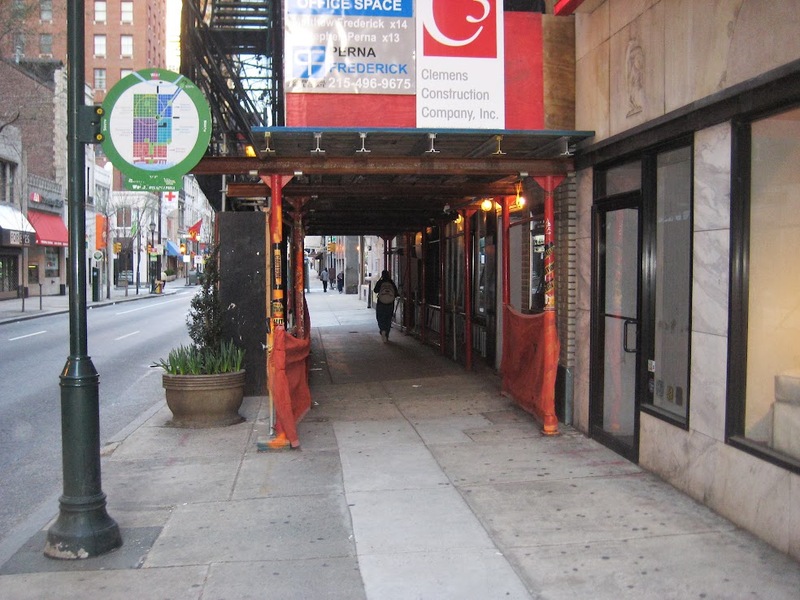 Posted on March 4, 2014, in News & Updates, System and tagged building materials, construction, DE, Emergency, equipment rental, General contractor, inspection, ladders, leasing, masonry, MD, NJ, NY, phila, Protection, rent, Rental, renting, rents, scaffling, scaffold, scaffold PA, scaffolding, scaffolding philadelphia, scaffolding rentals, scafolding. Bookmark the permalink. Leave a comment.